NEW CANAAN — There’s a high probability Kristen Schilo has spent more time at Spencer’s Run or other people’s houses than her own abode this summer. “Some people ask if I sleep at Spencer’s Run,” Schilo said with a laugh, confirming she has been to the dog park every day this summer. The new venture, New Canaan Dogs, has been her pet project for a year and a half. With 30 clients and counting, New Canaan Dogs’ work is spread online via Facebook and Instagram, but also through word of mouth and recommendations from clients. Nicole Ahrens, Schilo’s first client, said her family’s cockapoo, Boomer, may love Schilo more than them. As New Canaan Dogs’ first client, Ahrens said the venture’s reputation has spread in the past year. “I think her business started with us and it’s taken her so far,” Ahrens said. 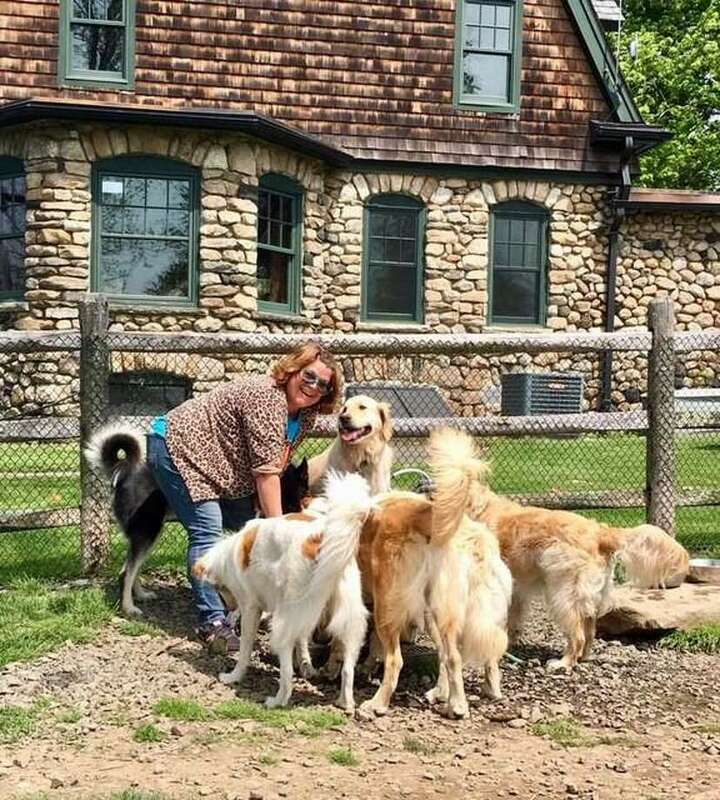 Dog walker by day and dog sitter by night, Schilo takes the canines to Spencer’s Run, occasionally on playdates and stay at the owners’ homes to take care of their pets. Summer is one of Schilo’s high seasons. This past summer, she has slept at home only five days, with the rest of the summer staying at her clients’ homes with their pets. As school starts again and people return from their vacations, Schilo is preparing for walking her “daily dogs” routinely again. Though she owns no dogs herself, Schilo still has company in the form of cats in her New Canaan home. In the past year and a half, she has learned this isn’t a job for everyone. “If you’re going to take care of dogs, you have to love dogs. You can’t do this without loving having the company of dogs — that’s why I’m in this business,” Schilo said.